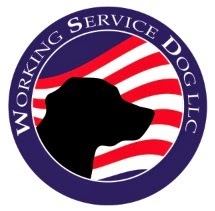 Working Service Dog Blog: What Identification Should An Emotional Support Dog Have? What Identification Should An Emotional Support Dog Have? Not everyone knows the difference between an emotional support dog and a service dog. At a glance, the animals look similar; they both wear vests and help their handlers get through their day. However, an emotional support dog uses different forms of identification than a service dog because they, unlike service dogs, are not covered by the ADA. To distinguish your emotional support dog from a service dog, it may be helpful for you to provide the right kind of identification, which is available in the form of vests, patches, certificates, and ID cards. Emotional support dog vests are typically used by handlers to show that their dog is helping them feel comfortable while out in public. When outfitted with ESA patches that specifically state the dog is an “Emotional Support Dog,” vests help the public understand the dog is not a pet but is also not a service dog. This helps to avoid any confusion when authorities are considering whether the dog is covered by the ADA, the Fair Housing Amendments Act, or the Air Carrier Access Act. Emotional support dogs will be supported by the latter two acts, but not by the ADA. Together, vests and patches help identify that the dog is providing aid for its handler. Sometimes, it won’t be enough to just have a vest that states a dog is an emotional support dog. There may be times when more identification may be helpful to defuse an uncomfortable situation, and this can be done with the following ESA identification. Emotional support dog certificates are official documents that state a dog is an emotional support dog. It also provides information such as the handler’s name, the dog’s name, and when the certificate was registered. Certification is not required; however, presenting an official certificate can help avoid uncomfortable situations. ESA ID cards fulfill the same function that certificates do. A handler may carry an ID card in their pocket or wallet and produce it easily upon request. Like certification, ID cards are not required, but can help when explaining the dog’s important role. Not everyone will be observant enough to know an emotional support dog just by a vest alone. To be truly prepared, these forms of ESA identification can help the public understand exactly what kind of dog they’re looking at.